Womens fat loss has become more important the past ten years because of research findings showing a direct connection to Type II diabetes, heart disease/stroke, sleep apnea, and some forms of cancer. Women know they need to eat less sugar and processed foods, get more exercise, and make positive lifestyle changes if they are to lose belly fat and thigh fat...yet, they do not do it. The biggest factor is psychological. It is a blend of motivation and emotion that must be overcome in order to reach the fat loss goals we set for ourselves. There is NO one fat loss secret for losing belly fat. The best diet for women is a comprehensive plan of nutrition and exercise. However, unless you are attuned to the psychological forces assaulting your motivation, your best efforts to eliminate belly fat will be sabotaged. The toughest thing to accept when you begin fat loss dieting is that is will be progressive...and it will take time. Weight gain does not happen all at once. It creeps up (while we stay in denial) until one day you look in the mirror and are shocked. * You must accept that the fat WILL NOT come off immediately and that you must make decisive changes in your approach to food and physical activity. * The answer to womens fat loss is NOT expensive (worthless) supplements, dangerous pills or elective surgery. Your fat loss plans must only include safe and sensible methods to get results. * Athletes know it is much harder to get in shape, than it is to stay in shape. When women see a flabby, overweight reflection staring back at them in the mirror, discouragement is almost instantaneous because they wonder how on earth they can ever get rid of that much fat. * In order for a woman to succeed in her fat loss plans, she must do whatever it takes to become mentally stronger and identify the emotions that conspire to rob her of her goal. * Committing to a more positive lifestyle that centers on making good food choices sounds easy until you see people eating ice cream and drinking lattes without, seemingly, a care in the world. * Always remember, you CANNOT compare what is going on outside you (your perceptions), with what is going on INSIDE (negative feelings about yourself) you. You will always lose this game. DO NOT play it. Do whatever it takes to stay away from this faulty feedback. You can begin feeling better about yourself and reaching your fat loss goals with a few simple changes while you research the best easy diet to begin your program. * Start by eating an apple about 15 minutes before each meal. Not only is it providing nutritious elements, but it also will make you feel full and will reduce the amount of food you eat. * Start drinking a cold glass of water when you wake up and with each meal. The benefits of drinking water cannot be overestimated. * The easiest physical activity program is called "The 2-20" This means you will wake up, drink TWO glasses of water, do some light stretches, and go for a 20 minute walk. You can walk off belly fat with a committed effort. You DO NOT have to become an Olympic marathon runner. * If you can envision each meal having one fruit, one vegetable, and one solid protein source (NOT a protein shake or bar), plus a glass of cold water, you will have a great start on your fat loss plans. * The central key to womens fat loss is a commitment to intelligent nutrition and knowing exactly what you are eating, and how it will effect your body. * Even if you cannot get to the gym more than once or twice each week, you can still be vigilant about staying away from sugars, processed foods, and bad carbs. 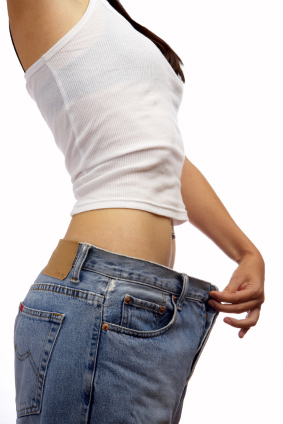 Womens fat loss is filled with psychological and emotional minefields. A lot of that stems from the vision that results will not be immediate and they will be difficult to achieve...while putting on fat was easy and mindless. However, once you decide your commitment will be lifelong and you will not be swayed "how easy" Life looks to others, you will be well on your way to a life without fat.